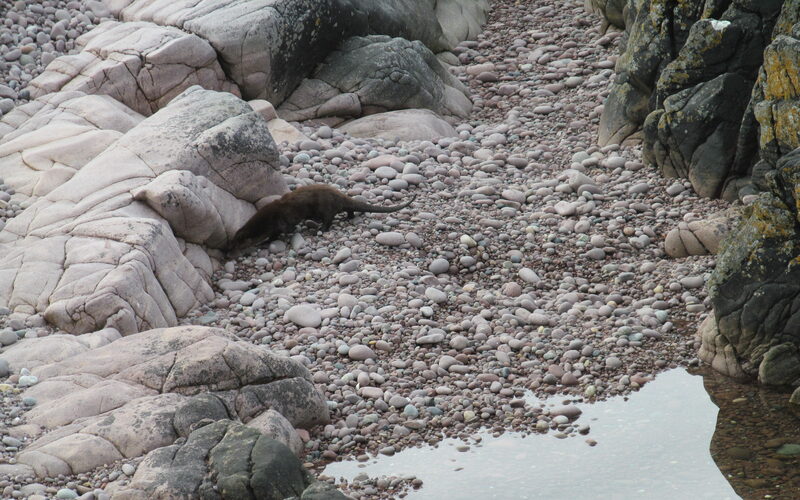 The duo, named Aeris and Beatha, have been able to call the International Otter Survival Fund (IOSF) headquarters in Broadford home for more than 12 months – however, the time has come to release them back into the wild. Husband and wife duo Paul and Grace Yoxon have been running the organisation for the past 25 years, with son Ben coming on board to join the five-strong team in Broadford as an educational officer. 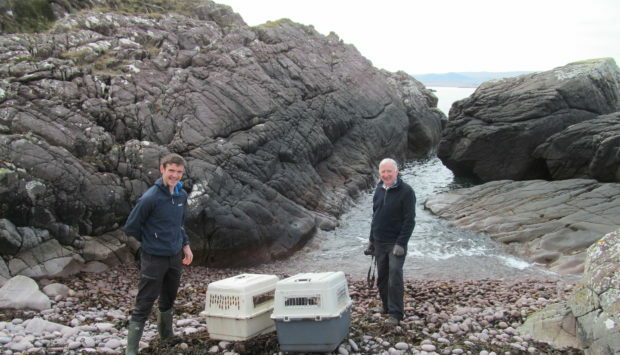 On Thursday, all three Yoxons took Aeris and Beatha to the shoreline near Aultbea, releasing the duo from their transportation cages and into the wild. Mrs Yoxon said: “We are delighted. This is the reason we do it. “They are meant to be out in the wild. People always ask us if we are sad releasing them back into the wild, but we aren’t, it is where they are meant to be. 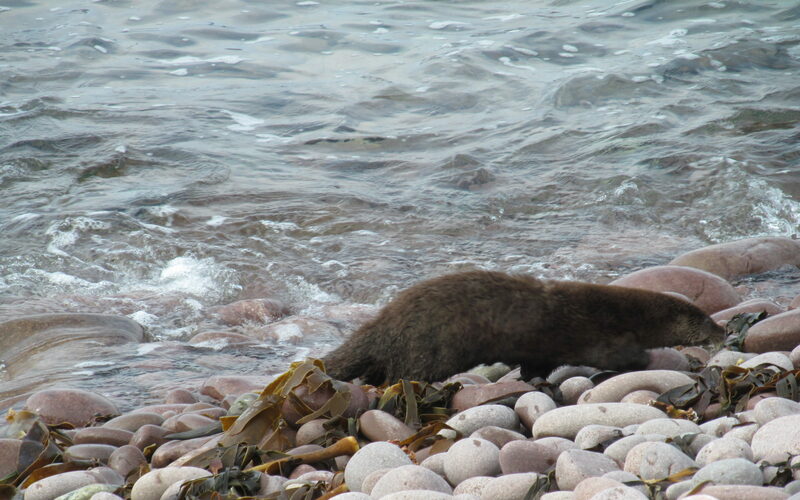 Despite carrying out conservation work across the globe for the carnivorous mammals, the IOSF possess a special otter hospital on Skye, where otters are nursed back to full health and stature, before being released into the wild to find their natural habitats. Mrs Yoxon added: “The two of them were hilarious. They would fight with one another for fish and what not. Aeris was always a bit reserved and she was like that when we released her, whereas Beatha went out and was like I’m off. “It is the best way to do it if you can, to bring two up together and then release them together so they can find their way with each other. They even started going off in the same direction. “They are not tame in any way so they won’t be coming up to people. We have had sightings before after releasing, but we really rely on local people to keep an eye out. “We had the man who discovered Beatha near Aultbea, Paul, with us for the release which was nice and he has promised to keep an eye out for the two of them.